Overwatch has been a big success in the nearly two years since its release, and apparently that success will continue for the next three decades. 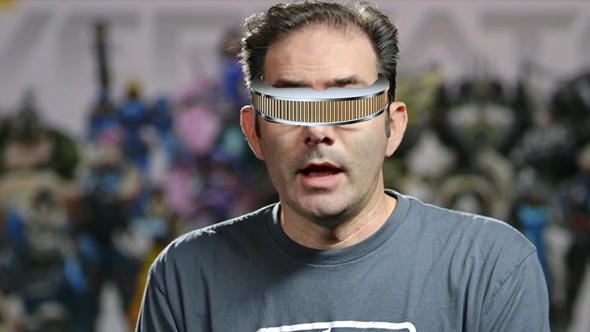 Director Jeff “From the Overwatch Team” Kaplan has time-traveled back from 2046 to answer all of your Overwatch related questions. Check out our guide to the Overwatch League. We don’t yet know if it’s still going in 2046, though. Of course, this is actually all just a big Reddit goof, but it’s such a delightful one we’ll even forgive reincarN8ed for stealing the idea from the League of Legends subreddit. The concept is pure Reddit gold, and has earned both users their fair share of that particular currency. Papa Kaplan’s soft-spoken appearances in Overwatch development update videos has always made him a prime memeing target for community, and the results are usually pretty great. Kaplan’s adjective supercut and his threat to spank the asses of toxic players will always stick with me.